After hearing good things about Lamentations of the Flame Princess (LotFP) I decided to head over to the LotFP blog to see what I could see. I had the vague notion that LotFP was a retro-clone of sorts with a weird treatment. First off, the cover really drew me in. From there I headed over to RPG.net and read a few threads. Tim aka Samwise7 had some great things to say and that sold me. I've met Tim in real life and while I don't think we like all of the same things our gaming sensibilities line up quite often. In short, I trust what he's saying. So, off I went to get my hands on a copy. I needed another retro-clone like I needed a hole in the head. Up until LotFP the only clones that clicked for me was Swords & Wizardry Core and WhiteBox. Those two variants of OD&D allow me to run games like I used to run AD&D back when I first started in this hobby but with a dash of modern je ne sais quoi. But I'm always open to trying out new games. I sat down and read straight through the main rulebook. Right away I saw the unique balance not only between classes but also between the classes and the antagonists of the greater world. Only fighters have an ever increasing attack bonus while clerics and magic-users of course gain spell slots. As part of this treatment the cleric's ability to turn undead is not a class ability but is instead a spell. Magic-user spell slots are pared back as well. Immediately I could see that an extra bit of parity was baked into the class design. The game also covers dwarves, elves, and halflings all handled as race as class. I like it. Keeps them separate and unfamiliar. What about thieves? Technically there isn't a thief class but instead there is the Specialist. The Specialist class is a template of sorts. LotFP codifies a list of abilities that everyone can do such as climbing, searching, find traps, etc. All classes start out with a 1 in 6 chance of success modified by context. The Specialist of course has all of these abilities but starts out with 4 skill points to distribute amongst the abilities as pip increases. As a Specialist goes up in level he gets more skill points. It's an incredibly flexible approach making thief/rogue more of a meta-class. The Specialist class provided the spark for my setting for LotFP. More on that later but first I have to talk about the character sheet. The character sheet is top notch. It provides an extra bit of ease of use that we really appreciated. Next to each Ability Score modifier there is a short list of things of what the modifier is used for. The Armor Class subsections for Ranged, Without Shield, and Surprised were really useful even for old hand gamers. And most important of all, the list of Common Activities is right on the sheet. These things at first blush may not seem all that important but what it did was put the author's system design intent right there in front of us the entire time. This is a good thing because it meant that we could easily play the game with very, very little page flipping. Gotta mention the encumbrance system before I forget. It's concise and well done. Encumbrance states and how you got there are all on the second page of the character sheet. A couple of times I hit some difficulty because I was overcomplicating it. Encumbrance is one of those things that as DM I typically handwave but for this game I'm sticking a little closer to the rules as written because the whole notion reinforces the feel of fragile man in the wilderness amongst the unknown. To me, Lamentations of the Flame Princess feels a lot like Swords & Wizardry WhiteBox with a few more goodies baked in. In my estimation it sits right in between the barer WhiteBox and the more advanced Core rules. That's a good spot to be in. About that setting that I mentioned. Right now it's just the barest of sketches but enough was put together to run our first session. In a nutshell, the world was a warmer nicer place. It got cold and suddenly colder still. The world's population crashed. Lords still sit atop the social order but they are the faintest reflection of the opulence that once was. Though winter is long and summer is short the woods stand unmolested for the most part because the people fear that which haunts them. Deep into those woods and beyond lie the remnants of a familiar yet distant civilization. It calls to those who would risk a miserable life for riches. There are few but they are ready. Note that this is compiled from the main Traveller and the Mercenary SRD document with some tweaking. The list is all OGL. This skill covers bureaucracies and administration of all sorts, including management and accounting as well as the navigation of bureaucratic obstacles or disasters. Advocate gives a knowledge of common laws and proceedings as well as the proper ways to argue cases in front of courts and nobles. This skill, deals with the general care of animals. Training: The character knows how to tame and train animals. Veterinary: The character is trained in veterinary medicine and animal care. Teamster: The character knows how to drive a team of animals drawing a wagon or cart. The character is trained in a type of creative art. Acting: The character is a trained actor, at home on the stage. Architecture: Designing structures and monuments. Calligraphy: The character is trained in writing decoratively. Dance: The character is a trained dancer and performer. Instrument: Playing a particular musical instrument, such as a flute, lute or organ. Painting: Creating pictures, frescos, murals and other forms of pictures. Sculpting: Making artistic sculptures in a variety of media. The character is a trained athlete and is physically fit. Coordination: Climbing, juggling, throwing (including thrown weapons). Strength: Feats of strength, weight-lifting. Flying: Creatures that fly gain this skill for free at level 0. The Broker skill allows a character to negotiate trades and arrange fair deals. Carousing is the art of socializing; of having fun, but also ensuring that other people have fun, of infectious good humor. Fortifications: The character is trained how to build defenses from trenches to bunkers. Building a field fortification (trench, sandbag wall, etc.) 1-6 hours, Education or Endurance, Average (+0). Resulting fortification grants maximum cover equal to half effect (round up). Building a defensive fortification (wall, bunker, etc. ): 10-60 days, Education, Difficult (-2). Resulting fortification grants maximum cover equal to effect. Finding weak point in enemy fortifications: 1-6 minutes, Intelligence, Difficult (-2). Character can ignore the cover DM of targets behind fortification, up to an amount equal to effect. Deception allows a character to lie fluently, disguise himself, perform sleight of hand and fool onlookers. The Diplomat skill is for negotiating deals, establishing peaceful contact and smoothing over social faux pas. The martial Discipline skill covers self-control, ingrained reflexes and training. A character with a high Discipline is adept at following orders and procedures. In game terms, as long as the character is in a situation covered by his training, he may reduce any negative DM by an amount equal to his Discipline skill. This may be done a number of times each day equal to his Discipline skill. This can only be applied skills that the character already has at a skill level of 1 or more. Discipline cannot turn a negative DM into a positive DM - training allows a character to do the right thing and ignore distractions, but does not give him any extra competence or ability. The character can grow and harvest crops and raise livestock. The character is familiar with a wide variety of gambling games, such as card games, dice games, horse-racing, sports betting and so on, and has an excellent grasp of probability. The Heavy Armor skill allows a character to wear heavy suits of armor such as plate mail and fight while wearing them. If the character does not have the requisite Heavy Armor skill for the armor he is wearing, he suffers a -2 DM to all skill checks while wearing that armor for each missing level. The character knows how to locate, identify and use herbs for various purposes, from medicine to cooking to making poisons. Anyone with the Instruction skill can pass on the basics of their own knowledge to less experienced characters over a period of time. They can, with a successful check, pass skills to other characters up to a maximum level of one less than their Instruction skill or one less than their own skill level in the skill being taught (whichever is lower). Thus, a character with Instruction 4, Admin 4, Explosives 2 and Pilot 5 could teach another character Admin 3 and Explosives 1 (the skill –1) but only Pilot 3 (Instruction level –1). Teaching the skill requires an Instruction test on the behalf of the teacher, which takes between 1-6 days less than the time it would normally take (depending on Timing – see page 59 of the Traveller main rulebook). The number of students that can benefit from this teaching is equal to the Effect of the check. During the training, the Referee should severely curtail the activities of all characters involved. At the conclusion of the training, the learning character(s) must then succeed in an Education or Intelligence roll with a Target Number of 8+. Player Characters cannot teach the Instruction skill to other Player Characters. The greatest assets an individual character has is his pool of skills, so we encourage the Referee to exercise great caution in allowing Player Characters to simply hire Non-Player Characters for their Instruction skill. Doubletalk: The character knows how to talk circles around most people, getting them to say or admit to things they never meant to with pressured conversation. With enough time to grill them properly, the character can get anyone to spill their secrets. Badgering an admission of guilt out of a captive: 1-6 hours, Intelligence, Difficult (-2). The effect is the DM penalty against the interrogator's inquiries. Uncovering a secret through focused conversation: 10-60 minutes, Intelligence, Difficult (-2). Torture: This speciality governs the collection of emotional, physical and psychological methods in which an interrogator can get a victim to break. Through an assortment of unsavory methods, the character can get anyone to say what he needs them to. Knowing a true confession from a false one: 1-6 seconds, Intelligence, Routine (+2). Using pain or discomfort to acquire an answer to an inquiry: 1-6 hours, Education or Strength, Average (+0). Using emotional or psychological response to acquire an answer to an inquiry: 10-60 hours, Education or Intelligence, Average (+0). The Investigate skill incorporates keen observation, forensics, and detailed analysis. The Jack of All Trades skill works different to other skills. It reduces the unskilled penalty a character receives for not having the appropriate skill by one for each level of Jack of All Trades. There are numerous different Language specialties, each one covering reading and writing a different language. All characters can speak and read their native Language without needing the Language skill. Having Language 0 implies that the character has a smattering of simple phrases in many languages. Common: The common trade language spoken by many of the civilized races, chiefly humans. Goblin: The language of goblins, hobgoblins and their kin. Dwarfish: The language of dwarves and gnomes. A bastardized version of this language is spoken by orcs. Elfin: The language of the elves and other faeries. The Leadership skill is for directing, inspiring and rallying allies and comrades. Conveying orders non-verbally: 1-6 seconds, Social, Average (+0). Number of words can be conveyed equal to twice effect. The Mechanic skill allows the character to maintain and repair most complex mechanical systems, from windmills to clocks. This skill is also used for picking locks, disarming traps and even building simple mechanical traps. The character is skilled in caring for the sick and wounded. The Medicine skill covers emergency first aid and battlefield triage as well as diagnoses, treatment, surgery, and long-term care. Able to prioritize casualties based upon their medical requirements. The melee skill covers attacking in hand-to-hand combat. Axes: Attacking with axes, cleavers and so on. Blade: Attacking with swords, rapiers, blades and other edged weapons. Bludgeon: Attacking with maces, clubs, staves and other edged weapons. Natural Weapons: The favored skill of wild animals, this covers fighting with claws, teeth, and other weapons that are part of you. Polearms: Attacking with halberds, poleaxes, spears and other long-shafted weapons. Unarmed Combat: Whether it is trained martial arts or street fighting learned the hard way, this is the skill for using your body as a weapon. This skill covers finding your way over land or at sea using landmarks, the stars, compasses, diaries, maps and so on. Persuade is a more casual, informal version of Diplomacy. The character has knowledge in a scholarly subject. Alchemy: The study of materials, substances, reagents and reactions between them. Also covers the use of alchemical apparatuses and methods, as well as the identification of substances. Astronomy: The study of celestial bodies. Engineering: The study of machines and structures. History: The study of past deeds and events. Logic: The study of methodical thought and reasoning. Mathematics: The study of numbers, formulae and calculations. Also covers geometry. Natural History: The study of the natural world - not just plants and animals but also geology and the climate. Spiritualism: The study of magic, the occult and the spiritual world. Theology: The study of religions philosophy. While the Religion skill covers the basic tenants and the practical and ritualistic sides of each faith, theology covers deeper philosophical meanings, cosmology and comparison between various faiths. A character with a Trade skill is trained in producing some useful goods or services. Armorer: The character is skilled in making and repairing armor. Blacksmith: The character knows how to work with hard metals such as iron and steel and could produce weapons. Carpenter: The character is trained in woodworking. Fletcher: The character knows how to craft bows and arrows. Leather-Worker: The character is skilled in leatherworking. Clockmaker: The character knows how to construct machines such as clocks and complex traps. Miner: The character is skilled in mining and mine excavation. Stonemason: The character knows how to construct stone structures. Tailor: The character is skilled in the production of clothes. The Ranged Combat skill covers a variety of ranged weapons. Bow: Using long, short and composite bows. Crossbow: Using crossbows of various sizes. A character trained in Recon is able to scout out dangers and spot threats, unusual objects or out of place people. Covering one's own tracks: 1-6 minutes, Intelligence, Average (+0) or Difficult if performed without slowing travel (-2). Covers the tracks for a number of additional allies equal to effects. 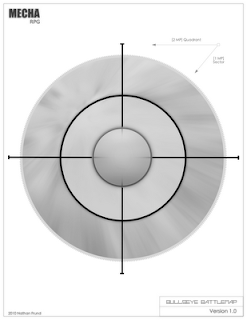 Figuring the type of armor worn by a target by its ground tracks: 10-60 seconds, Intelligence, Very Difficult (-4). Recruiting 0 allows the character to recognize anyone who shares a career path term with him, and the knowledge of what that path is. Recruiting 1 grants the character the ability to know the average skill level of a character that shares a career path term with him. Recruiting 2 allows the character the ability to know the highest and lowest skill (and level) of a character that shares a career path with him. Approaching a possible recruit in an appropriate manner: 10-60 seconds, Social, Routine (+2). The character can approach a number of possible recruits at one time equal to Effect. The character is well versed in the believes, practices and ritual of a specific religion. The Seafarer skill covers all manner of watercraft and sea travel. Sail: This skill is for wind-driven watercraft. Oars: For small craft using oars. The various specialties of this skill deal with the construction and operation of siege engines such as catapults, ballistae, trebuchets, battering rams and bombards. The character knows how to send and receive signals over distances too far for verbal communication via flags or other visual means. A character trained in the Stealth skill is adept at staying unseen and unheard. The Steward skill allows the character to serve and care for nobles and high-class customers. A character with the Streetwise skill understands the urban environment and the power structures in society. The Survival skill is the wilderness counterpart of the urban Streetwise skill - the character is trained to survive in the wild, build shelters, hunt or trap animals, avoid exposure and so forth. This skill covers tactical planning and decision making, from chess games to squad level combat to naval engagements. Military Tactics: Coordinating the attacks of footmen or horsemen on the ground. Naval Tactics: Coordinating the attacks of a warship or fleet. Injured. Roll on the injury table. It is perceived that through your neglect a great swath of forest is destroyed. Ambush! You are captured by enemies and held captive for 2d6 months before escaping. Lose 1 point from Dex, Str, or End from muscle atrophy. Time alone in the wild damages your social skills. Reduce your Social Standing by 1. Tension between you and another Ranger drives you from the career. Gain a Rival. While hunting for food you accidentally kill a sacred animal. Disaster! Roll on the mishap table, but you are not ejected from the career. Spend months guarding a remote outpost. Gain Survival 1 or Signals 1. During a mission to stymie an enemy incursion you learn how to set simple traps. Gain the skill Mechanical Works 1. A mission leaves you stranded behind enemy lines. Gain one level in Survival or Stealth. You are attacked by a wild animal. Roll Melee (any) 8+ or Survival 8+ to avoid a roll on the injury table. Life Event. Roll on the Life Events table. Explore new territory. Gain Recon 1, Survival 1, or Navigation 1. You save the life of a noble. Gain that noble as an ally. You find a young, abandoned, wild animal and raise it. Now it rarely leaves your side. Gain one level in Animals (Training). You take part is a particularly vicious battle. Roll Melee (any) 8+ or Ranged Combat (any) 8+ to avoid a roll on the injury table. You have again and again proven yourself a worthy warden of the forest. You are automatically promoted.